I went straight for it with our new range. No foreplay, didn’t buy it dinner first. No banter about whether it was into the feel of the ocean, or the taste of champagne. Not only did I pick an incredibly fickle recipe for the oven’s maiden voyage, I also added an additional layer of difficulty by trying a new twist I had no idea would work. 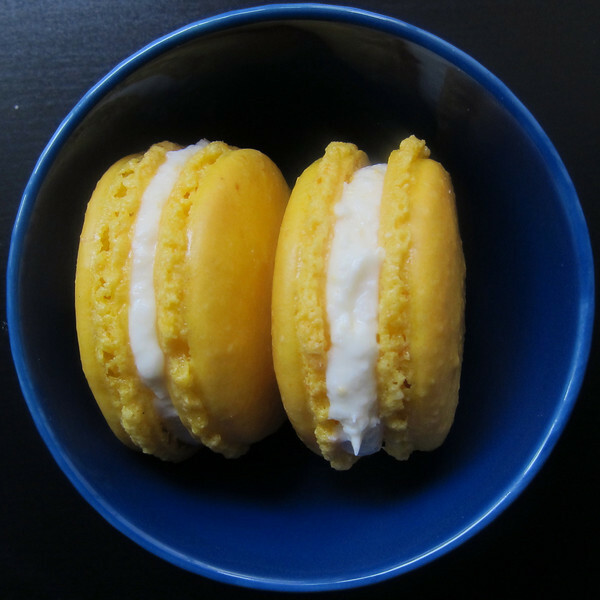 Replace some of the almond meal with ground freeze-dried pineapple in my favorite French macaron recipe? Why not? Lucky for me, the oven did great. All of the shells formed feet and not a single one cracked. I think this is the start of a beautiful relationship. 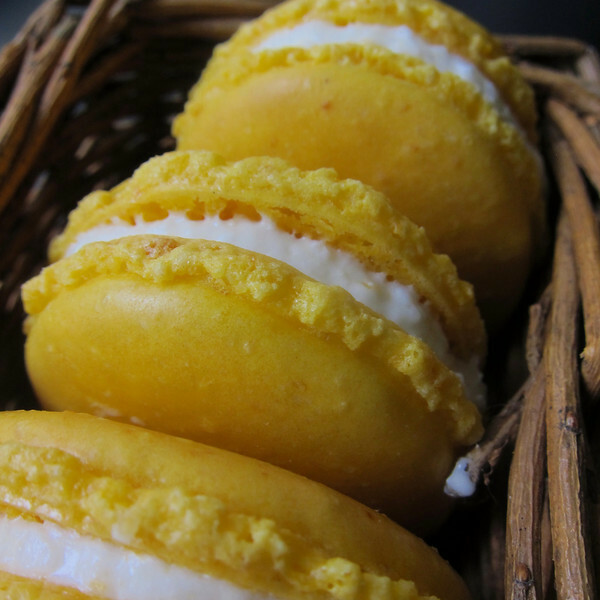 Even if the oven hadn’t performed up to snuff, I’m pretty sure I could have filled hockey pucks with this magical cream cheese, coconut and ground pineapple filling to similar success. Make sure that the egg whites have been separated from the egg yolks at least the night before. If the weather is cool and you are brave, leave them out, covered in plactic wrap, overnight. 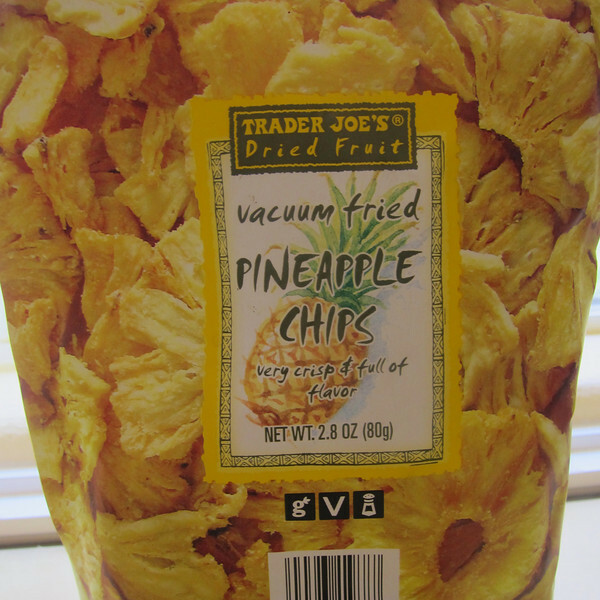 In the bowl of a food processor, combine almond flour, confectioner’s sugar, salt and ground pineapple. Process for 30-60 seconds until thoroughly combined. Sift into a large bowl. Discard bits that don’t go through sieve. 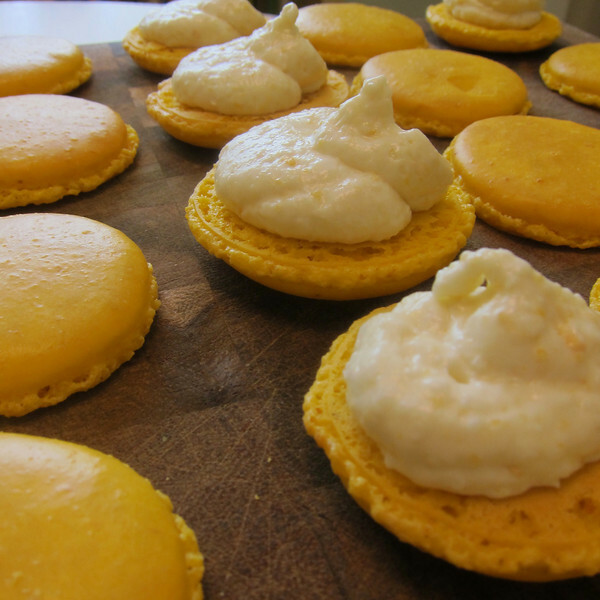 Whip the egg whites with the egg white powder until very fluffy, almost fully whipped. Start adding the sugar slowly while whipping. Add the food coloring and continue whipping to stiff peaks. Add the dry ingredients to the meringue and fold with a spatula until a shiny mass forms. To test, pipe a small amount on your sheetpan. 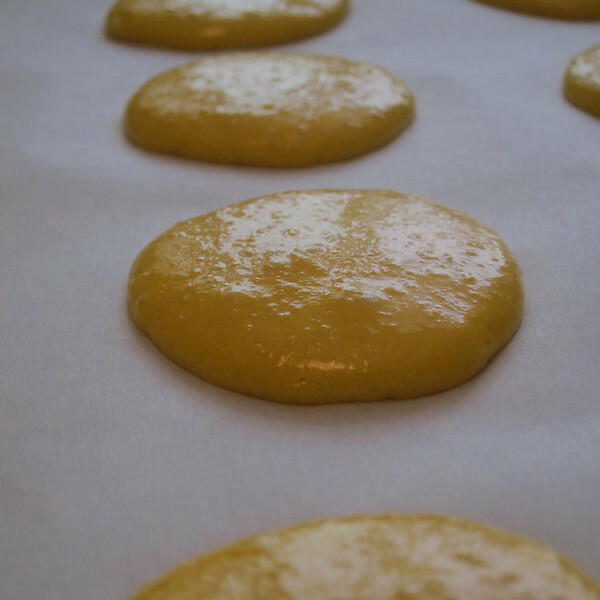 If it keeps a little bit of a top when piped, then you have to mix it a bit further, if it spreads really fast, you have gone too far and your macarons will turn out flat. When you have the right consistency, place the mass in a pastry bag with a number 5 tip (to be honest, I just snip the tip of the bag to about a 1/8-1/4 inch and pipe without the tip) and pipe small rounds onto sheetpans lined with parchment or silpat. Let them dry at room temperature for at least 45 minutes to an hour. The tops should be dry when you touch them. Preheat oven to 300F degrees. Bake for 8 minutes and rotate sheetpan and bake for another 5 minutes. Let the macarons cool on the sheet pan. Using a hand-mixer (I find the capacity of my standing mixer is too large), whip cream cheese. Slowly add-in confectioner’s sugar until fully combined into the cream cheese. Add-in coconut and pineapple, mixing to combine. Add-in vanilla. 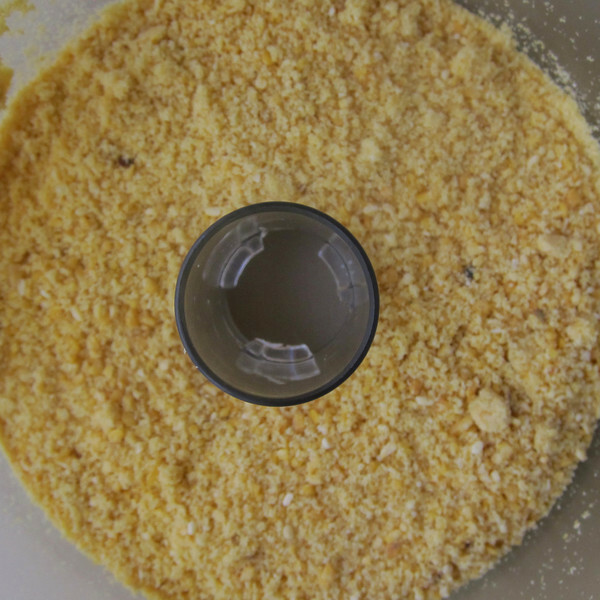 Mix filling on high for a couple of minute to incorporate a little air into the confection. Next Next post: Alfa who?